Many new mums are really keen to get back into shape and exercise after having baby, but it is important to takes steps to strengthen the pelvic floor and core again prior to engaging in any high impact or high intensity exercise. As Accredited Exercise Physiologist’s Elle can help support new mothers regain their pelvic strength and fitness through safe, low impact functional movements on the pilates reformer. Women who suffer from abdominal separation, are more likely to experience back-ache, hernias, pelvic girdle pain and pelvic floor dysfunction so it’s essential to rehabilitate these muscles after pregnancy. Diastasis Recti, or abdominal separation, is the widening of the gap between your ‘six pack’ (rectus abdomius) muscles. The connective tissue (aponeurosis) that joins all the musculature of the abdominal sheath begins to stretch to accommodate the increased intra-abdominal pressure. Basically this means the material down the center of your ‘six pack’ muscle widens apart to accommodate the growing uterus. Abdominal separation can affect 2 out of 3 mums post partum, so it’s very common, and very treatable. 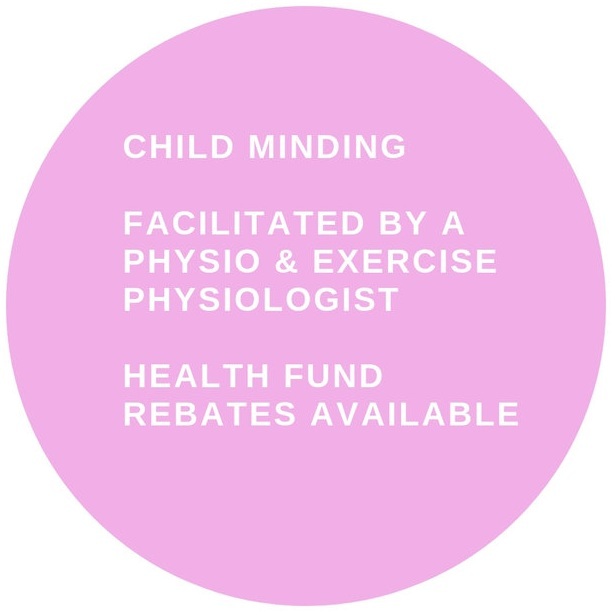 Seek the advice of a Physio or Exercise Physiologist prior to partaking in any form of activity. Supervision of all core exercises are important to ensure you are engaging your core correctly to rehabilitate the issue. You can help to both protect and heal your diastasis aka abdominal separation through good nutrition, good posture and exercises to connect with your abdominals. Low Impact Resistance Training - such as what we do on the reformer - is great to increase the strength to assist you in everyday postures. Eating protein and zinc rich foods, such as meat, fish, nuts, beans or eggs, and vitamin A rich foods like kale, broccoli, sweet potato can provide your body with the nutrients it requires to heal and repair. Eat plenty of fibre rich foods daily and drink an adequate amount of water to maintain healthy bowel habits – and don’t delay the urge to empty your bowels! Being mindful of your posture (when you are nursing your baby, carrying other children or shopping etc) is also important in your recovery of your abdominal muscles. No matter how much fantastic work you are putting in at the gym, if you carry poor posture for the other 12 hours of the day, you will undo all your hard work! Briefly, belly breathing is getting your pelvic floor, transverse abdominus, deep lower back muscles and diaphragm all moving together in sync. These 4 muscles make up your ‘core’. These breathing patterns are highlighted in all any.BODY Pilates Classes. Exhale – gently draw up your pelvic floor and imaging drawing your two bony hip points at the front of your pelvis closer together. This can take some guidance to get right but integral to learning to re integrate the pelvic floor and strengthen your core. For help with your abdominal separation and to get back into fitness after pregnancy contact Elle today for an Initial Consultation. 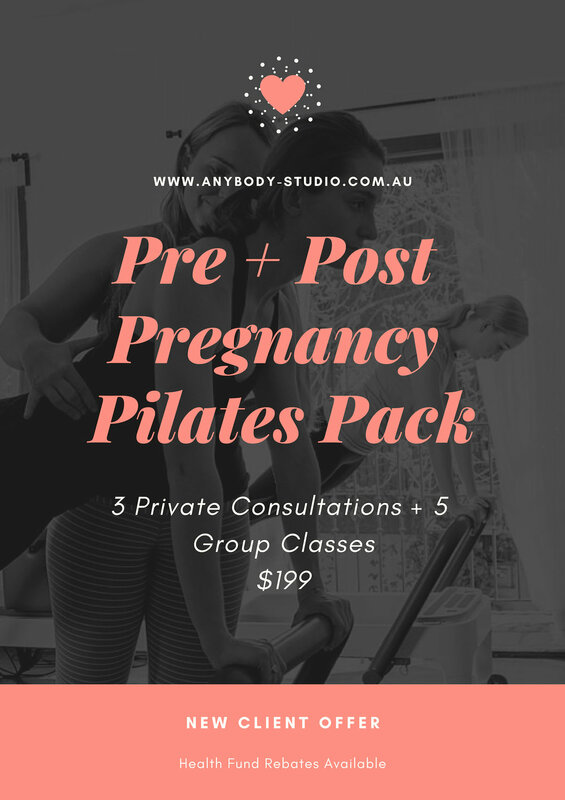 The any.BODY Studio Postnatal Pilates Program is an excellent first step to safely return to exercise while strengthening the pelvic floor, deep abdominal and pelvic muscles, helping you to recover following birth and to regain your fitness and pre-pregnancy body. 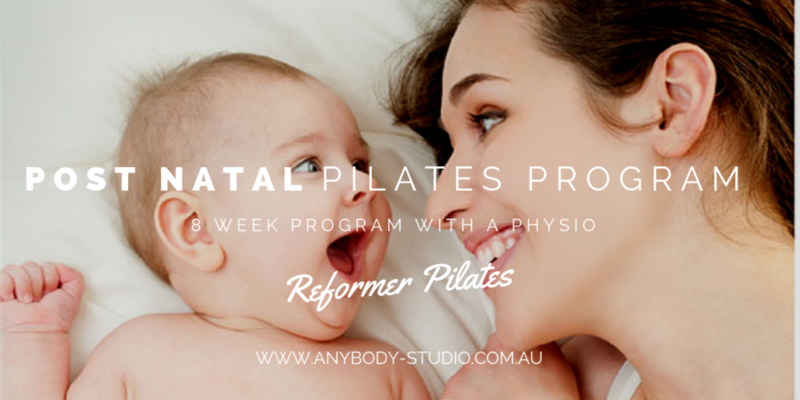 Enjoy weekly Reformer Pilates classes with a Physio in a peaceful space whilst your mini-me is entertained by our carer on site in the studio, leaving you to make the most of your time and meet other Mums. 8 weekly classes of Pilates with a fully accredited Physio. NOTE: Must have had 6-8 week medical check up post birth to participate and be cleared for exercise by your Dr/Ob. Has Someone Recommended Exercise To Help You Manage Your Health Condition?